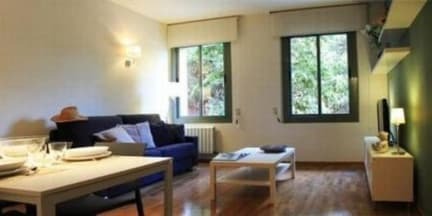 Alguera Apartments offers modern apartments with free Wi-Fi in Barcelona’s elegant Eixample neighbourhood. 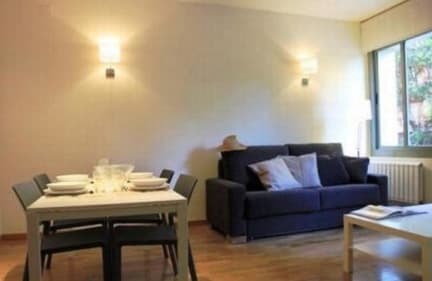 Arc de Triomf Metro Station with a direct connection to the airport is less than 10 minutes’ walk away. All air-conditioned apartments at Alguera Apartments Napols feature a stylish décor with parquet floors and contemporary furnishings. Each has a large balcony or terrace and is equipped with a flat-screen TV and a DVD player.